Legendary astronaut Buzz Aldrin recently released “A Unified Space Vision,” his personal plan for humankind’s next two decades in space. Blending elements from today’s space flight reality with visions for missions yet to come, Aldrin foresees the United States leading the charge to a permanent human presence on Mars by 2040. In “A Unified Space Vision,” Buzz Aldrin expresses concern regarding NASA’s current direction. He argues that faulty goal setting and insufficient funding have caused NASA to wander off a winning path. According to Aldrin, NASA should abandon its current immediate goal of sending humans to asteroids. Instead, in Aldrin’s view, NASA should strive toward developing manned Mars exploration capabilities by 2030. Aldrin also asserts that NASA should proactively seek out the cooperation of more international partners in both the International Space Station (ISS) and any projects beyond low-Earth Orbit (BLEO). In particular, Aldrin states that America should reevaluate its dearth of space cooperation with China. While Aldrin implies that he supports shelving NASA’s Space Launch System (SLS), he affirms NASA’s reliance on Orion as the primary crew vehicle for launch and Earth entry on manned exploration missions. Aldrin proposes that NASA send an unmanned Orion to the second Earth-Moon Langrangian point (E-M L2) in 2017, with a crewed repeat occurring in 2021. In addition to Orion development, Aldrin’s plan envisions a NASA-crafted manned Mars Exploration Vehicle (MEV). MEVs ultimately would be placed on orbits that regularly cycle between Earth and Mars, allowing for relatively routine round-trip transportation to the Red Planet. Companion modules, called exploration modules (XMs), would accompany both Orion and the MEV on most of their missions. XMs would provide much of the living and storage space necessitated by long-duration spaceflight. The ISS would play an integral role in the development of a manned Mars mission. Functioning as an orbital test platform, the ISS would be outfitted with a prototype XM to test the module’s long-duration life support systems. 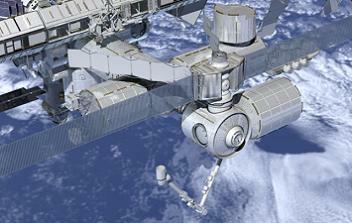 In addition, NASA would use the ISS to determine whether to use rigid or inflatable construction for the XM. To complete Aldrin’s proposed fleet of spacecraft, NASA would design and construct Mars landers (MLs). 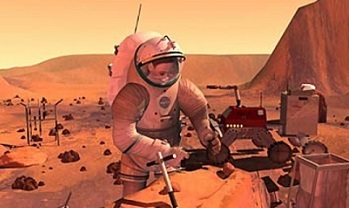 MLs would allow for the standardized transportation of robots, supplies and humans to the surface of Mars. Meanwhile, commercial space providers would continue to develop their launchers and crew vehicles. As part of his plan for commercial space, Aldrin asserts that the Unites States Congress should establish mineral rights for resources on asteroids and the Moon, giving commercial entities an incentive to settle the final frontier. Under Aldrin’s vision, 2024 would herald the completion of the first MEV, a milestone that would be followed by MEV testing at Earth-Moon Langrangian points. Next, in 2028, NASA would launch an unmanned reconnaissance mission to search for a suitable site for a manned landing on Phobos, the larger of Mars’ two moons. Phobos would serve as a “base camp” for the manned settlement of Mars and provide a staging area for XMs, MEVs, robotic components and MLs. MEVs then would be placed into two distinct Earth-Mars cycler orbits, named the “Armstrong Cycler,” and the “Conrad Cycler.” The cyclers are christened in honor of the first and third humans, respectively, to walk on the Moon. Each cycler would provide for unique windows for Earth departure and Mars arrival, and vice-versa, allowing for slightly more flexible and frequent missions. In 2032, NASA would send 3 XMs, a MEV and 2 MLs on an unmanned flight to Phobos. Using the Armstrong Cycler, this flight would reach Mars in 2033, deposit the XMs and MLs and use the Armstrong Cycler once more to return to Earth. 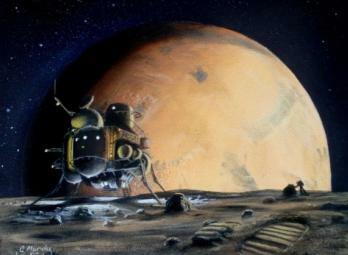 A 2034 mission, aided by the Conrad Cycler, would send a three-person crew to Phobos. 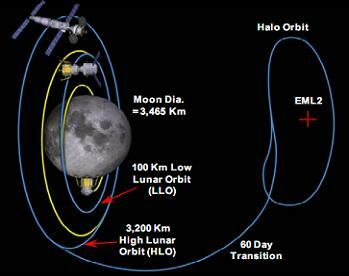 Once there, the crew would use the modules deposited in 2032 to land and live on Phobos for one year. 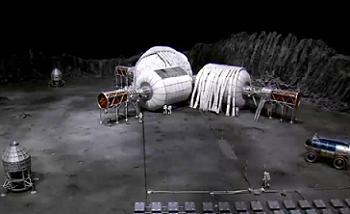 The crew would use the Conrad Cycler to return to Earth in 2035. 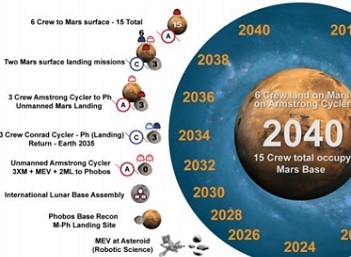 A new, three-crewmember mission would launch to Phobos in 2036 with the help of the Armstrong cycler. 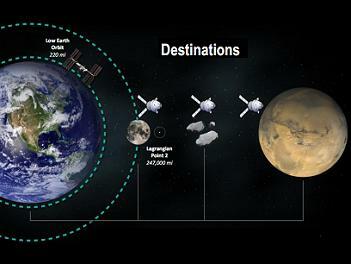 The crew would support the unmanned construction and operation of a robotic International Mars Base (IMB). Over the course of its estimated one-and-a-half years of operation, the IMB would set the groundwork for what Aldrin considers to be the ultimate triumph of his plan: humans settling on Mars. The same three crewmembers that would support the IMB also would be the first people to tread the Red Planet. In 2038, they would leave Phobos and use a previously deposited ML to land on Mars and inaugurate the first permanent human settlement on a planet beyond Earth. Within a year, a crew of six would launch from Earth, rendezvous with a MEV on the Conrad Cycler, reach Mars orbit and join the previous crew on the Martian surface. Finally, in 2040, another six-person crew would leave Earth and land on Mars, this time with the aid of the Armstrong Cycler. While Aldrin’s vision for the future of manned space exploration is mostly crafted with Mars in mind, the plan is not without a mention of Earth’s Moon. 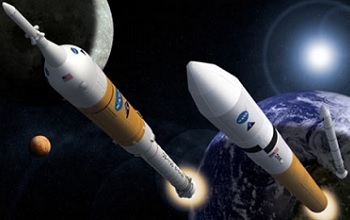 Once the darling of NASA’s immediate space ambitions, a near-future return to the lunar surface was shelved following the defunding of the Constellation Program (CxP), the announcement of SLS and NASA’s recent shift toward prioritizing manned missions to asteroids. Aldrin himself once criticized the notion of a lunar return as unimaginative and uninspiring. Aldrin’s new proposal, however, calls for the construction of an international lunar base in the 2030s. In his proposal, Aldrin indicates that an international base would harness the potential of a lunar settlement without solely anchoring the United States to the “Apollo on steroids” commitments of CxP. While Aldrin believes that any lunar base should be explicitly international in its development, the inherent nature of such a project would see America return to the Moon. Aldrin advocates for a base near the far side of the Lunar South Pole, an area that is widely evidenced to contain high amounts of ice compared to most other lunar locations. If built in the context of Aldrin’s plan, a lunar base would likely use derivatives of the landers and modules developed for Mars exploration.